Persimmons are one of the most exotic fruits you can grow in the United States. This iconic orange fruit ripens in mid-fall, putting on quite the autumn show of color. 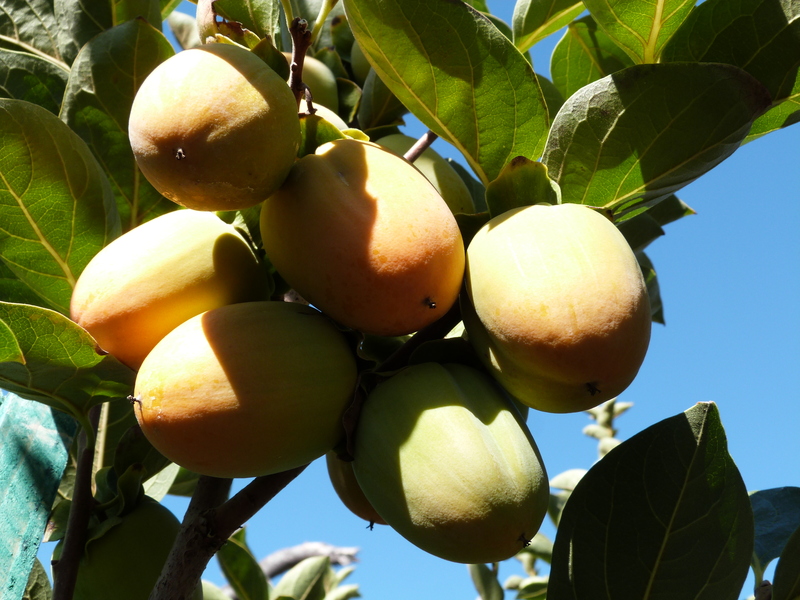 Most persimmon varieties reach about 18-30’ tall and wide, but are not typically fast growers. You’ll have to be patient as they reach their mature size. These lovely trees are also self-pollinating, so if you are limited on space in your home orchard, you only need one plant. ‘Fuyu’ persimmon produces an abundance of large squatty fruit perfect for eating fresh off the tree. The oblong fruit of ‘Hachiya’ is a great choice for cooking since it tends to have more tannins than ‘Fuyu’. ‘Chocolate’ persimmon is one of the most unique cultivars available. Unlike its relatives, who have a mango like flavor, this persimmon has notes of chocolate that make it perfect for baking. The fruit tends to have a smaller more conical shape compared to other cultivars.